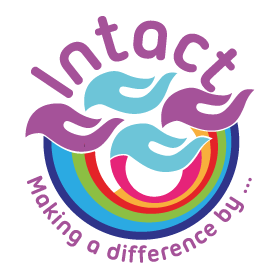 Creative Connections is a pilot scheme run by the Intact Centre, an independent charity based in the heart of Ingol, Preston. The project is funded by Lloyds Bank Foundation (England & Wales) and supports people in learning new skills, growing in confidence, overcoming barriers and to gain invaluable experience, whilst also making a difference to the local community. This is a unique opportunity for particpants’ to harness and explore their natural creativity to boost general well-being in a fun and accessible way. The programme aims to develop employability skills by promoting community- led social development by motivating group members to take responsibility for their own social needs and gives them the knowledge, skills and experience to address them in a safe and supported environment. This also develops skills which prepare them to identify personal barriers to overcome the common challenges they face. These skills are also transferable to the workplace and generates increased confidence, improving understanding of local and broader communities, improved ‘lifeskills’ and ultimately increased employability. The learning journey is delivered through informal workshops, creative activity, research and self reflection. Developing the key skills mentioned below, with the end goal of creating a social action project which is designed, planned and delivered by the group. It would be the pilot for a sustainable social action group and/or future projects, benefitting the individuals involved, and the local (including Intact) and wider community. The 3W’s: Who? Why? When?